So we landed at Linate Airport (Milano) at around 11:46 this morning, and Jørgen was outside waiting for us in the rented FIAT 16. It was 26°C degrees and sunny; a welcome change from the 8°C degrees and rain in Bergen. Our first stop was at Ca’ d Carussin in Asti. 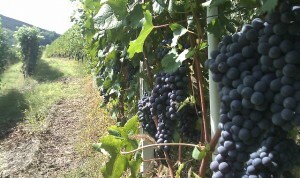 Just to refresh your memory, they are the ones who produce the wonderful Barbera d’ Asti Asinoi and Barbera d’ Asti Lia Vi. Their total production is around 90,000 bottles, 100% Biodynamic, and everything including their Moscato d’ Asti is spontaneously fermented using indigenous yeasts. The only fermentation/storage containers to be seen were made of cement, steel or fiberglass. Upon arrival we were greeted by the entire Ca d’ Carussin family – Luigi (Garberoglio) and Bruna Ferro and their grown children Luca and Matteo, who were busy in the “cantina” working on the vintage (the harvest) which had just been completed that day. We chatted with them for a few hours, sipped on coffee made with a very old stove-top Moka while cats, dogs, birds a mouse and of course donkeys (jackasses) wandered around the premises. In fact, Bruna is very affectionate of her animals, especially her jackasses (“asini” in Italian) and went on to explain to me that they are misunderstood creatures. She told me that although we consider them to be “dumb” or simple creatures, they are in fact quite smart and complex creatures who have a knack for sensing danger and won’t do anything they don’t understand. Hence the name of this wine, Asinoi. A play with words which means “we are jackasses”. Also signifying that the wine is simple, yet complex. Not unlike the jackass. We then headed over to Luigi Garberoglio parents “country” house and “winery” where we were greeted by Igino Garberoglio, Luigi’s father. We found Igino in his miniature wine-cellar making his own wine. 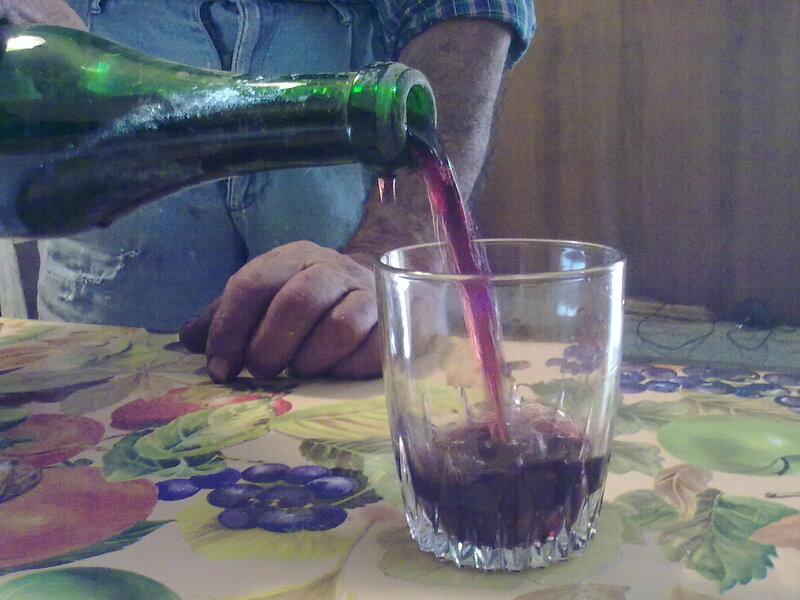 The 75 year-old Igino makes about 200 bottles of wine in a most natural way. He farms organically and uses only a teaspoon of sulfur during the process. 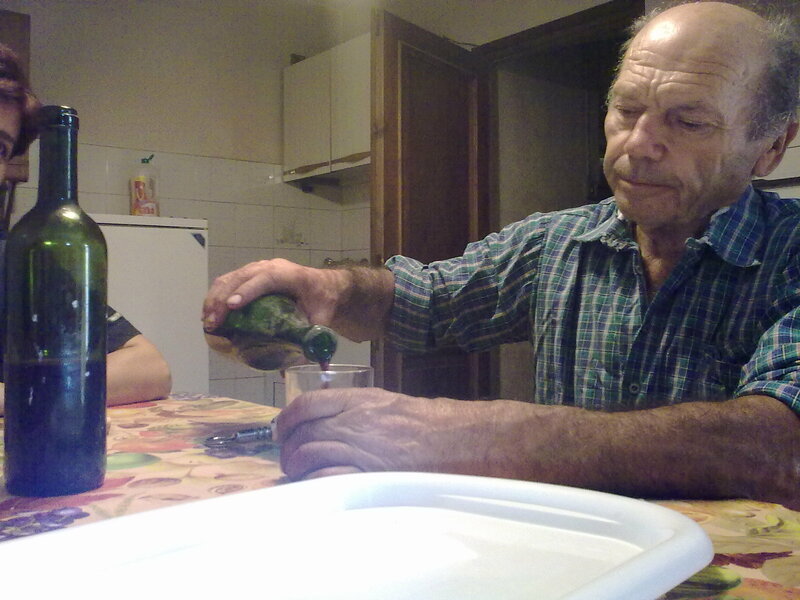 He proclaims that he makes “real wine” like he was taught as a youngster. 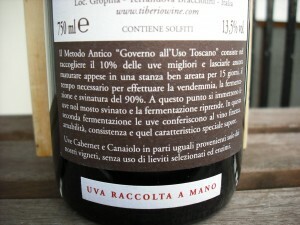 He then bottles without filtration of course and forget about the labels – he has none. He makes this wine for himself and some close friends. We had a small two-minute tour of his “winery” and then sat down in the kitchen. He ran back to the cellar and came back with a few bottles of the wine he calls “Borgogno”. He was uncertain of the grape variety, even after analysis. He however was quite certain that it was at least partly Pinot Nero but displaying some aromatics which made him uncertain – we agreed with his assessment. He poured the wine and it had a slight sparkle. That quickly burnt off. 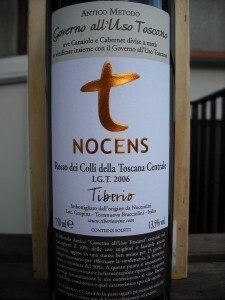 This was a serious wine with quite complex aromas, good structure and concentration with a long fresh finish. We sipped this wine from traditional wine glasses as we snacked on fresh bread baked in a wood-burning stove with young, un-seasoned salami. It was wonderful. And so our natural wine making experience has begun! Now we are heading back to Luigi and Bruna’s house for a nice dinner! I have a feeling tomorrow will be a much harder day then today…. 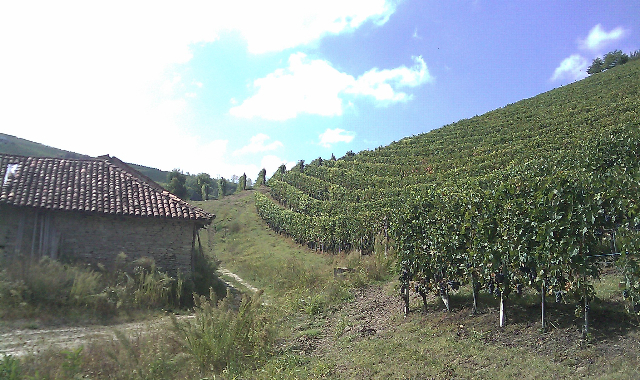 Tomorrow I begin my adventure in natural wine making as I head to Piemonte to help make a wine from the noble Nebbiolo grape. Our flight leaves Oslo at a (way too early) 6:30 in the morning through Stockholm then on to Linate (Milano). 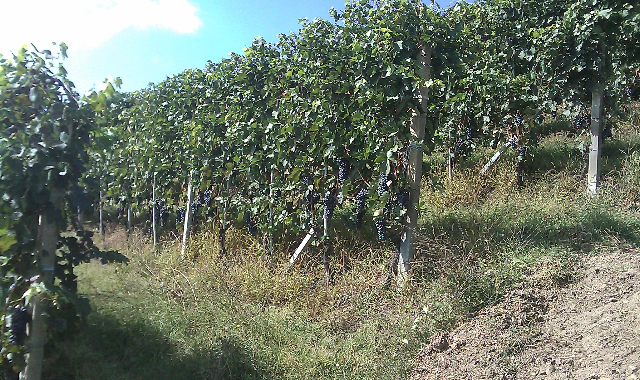 Our first stop when we finally arrive in Piemonte Wednesday afternoon will be of course to drop off our bags, then immediately out to the vineyards to taste the grapes. We need to see how they are doing! On Thursday morning, October 1st we will be up at 4:00 in the morning (again!) to prepare the area of vinification by building a temporary roof (picture a tent if you will) and we will clean and prepare the tanks which at this point I have to assume are made of cement or steel (I will fill you in on the details once I know). 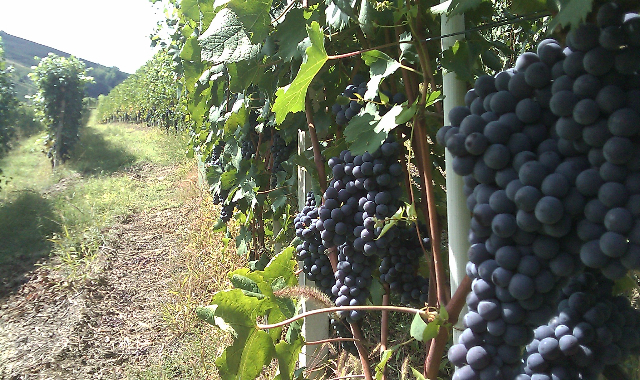 We will be harvesting and selecting the grapes by hand from two single-vineyards: “Felice” in Neive (harvesting to begin Friday the 2nd of October) & “Basarin” in Barbaresco (Friday the 9th of October). 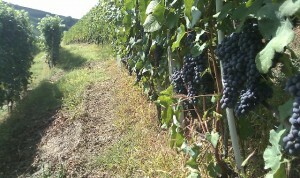 We will crush and the fermentation will occur spontaneously. We will do all of this and eventually bottle this wine without (hopefully) the use of sulfur. I don’t know any other details other than the ones I have shared here. I am not the one who has organized this process, but have been fortunate enough to have been included in it. I hope to be able to update everyone on a daily basis with my natural wine-making process, but I can only assume that the farm we will be staying at will not have internet, and therefore my daily progress may have to be posted after the fact, which I intend to do, photo’s included! Please check back here as I will try and post here as soon as technologically possible! The 17 ha Mas d’Andrum estate is located in the Costières de Nîmes AOC, in the South East corner of the Languedoc in France. The Costières de Nîmes AOC was once considered part of the Languedoc region until 2004 at which time the Costières de Nîmes AOC was attached to the Rhône region since the typicity of the wines was more like the wines of the Rhône. Mas d’Andrum was established around year 2000 by Stephan and Carolina du Toit of Mont du Toit Wines of the Western Cape in South Africa. They enlisted the help of the late Bernard Breuer (Weingut Georg Breuer, Rheingau) and Bernd Philippi (Weingut Koehler Ruprecht, Pfalz) to get the project off the ground and it is my understanding that Bernd Philippi still has some involvement. 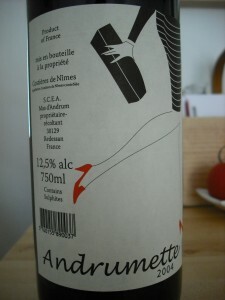 This is the very first vintage (2004) of the Andrumette and is a blend of Syrah and Grenache in equal shares. The grapes come from vineyards that are up to 50 years old. 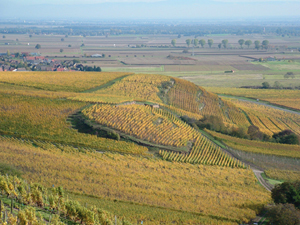 The terroir is characterized by big red stones down to a depth of up to 8 meters called “galets”, similar to those found in the Châteauneuf du Pape region. The grapes were harvested at optimum maturity, hand sorted and vinified with the skins for about 30 days in cement vats where the wine was left for two years. The wine was bottled in 2006 without filtration. The price is 89 Norwegian Kroner. Keep in mind that taxes alone account for more than half the price of this bottle, so that being considered, this is a rather inexpensive bottle of wine. Appearance: Clean. Medium brick red with some browning of the edges in line with it’s few years of age. Medium intensity. Nose: Clean. Medium to medium plus intensity. 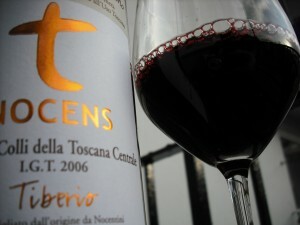 Mature dark berries with hints of wild cherry. Mineral and slightly oxidized. Some rustic animal tones and cocoa emerging. Very slight hints of olive and spice. Medium to medium plus complexity. Palate: Clean. Mature cherries and blackberries. Hints of wild raspberry lift the wine nicely. Medium minus tannins grip on the finish. Hints of spice and oxidation on the back end. Although this wine is quite light, fresh, and easy drinking, it has very good structure with medium complexity and a long, fresh finish. 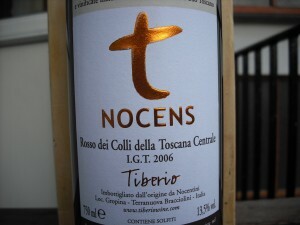 Nose: Sour cherries really dominating with wild strawberries emerging – they weren’t there before. Palate: Acidity has kicked up a bit while the tannins have softened..
My overall impression is that this is serious value for the money. In Norway, you have to be very selective when choosing wines that cost less than 100 Norwegian Kroner. You have to be extremely selective at under 90 Norwegian Kroner. There are very few wines available in Norway at this quality and price level. For those interested folks out there, I have added a new page to my website on the sidebar under “more information”. The new page is called “Vinosseur’s Wine Lists” and it’s where I will update the wine list for Jacob’s Bar & Kjøkken on a monthly basis. The wine list is meant to be somewhat dynamic, hence the monthly update. Through my consulting services, I also make wine lists for other restaurants. I will also place these wine lists on this page as they are completed! As you may know, I am the wine director and sommelier in a small restaurant in Bergen (Norway) called Jacob’s Bar & Kjøkken (Kitchen). A restaurant which has been garnering a lot of attention lately by the locals as well as the media. We have some of the most talented (and awarded) chefs in Norway, definitely the most passionate. I started at Jacob’s Bar & Kjøkken in January of 2009 after a four year stint at Altona Vinbar where I managed a wine list of approximately 500 titles. Although Altona Vinbar was a fun place to work, and the wine list was very exciting, it wasn’t what I was looking for. I wanted to manage a smaller, more dynamic and eclectic wine list and to work more closely with food and a kitchen that would inspire me. Jacob’s Bar & Kjøkken fit that bill perfectly. The kitchen focuses on local food, specializing (in my opinion) on the preparation of amazing seafood dishes prepared with wild, local fish. When in comes to the wine at Jacob’s Bar & Kjøkken, I like to keep my wine list at around 90 titles with a focus on organic, biodynamic and natural wines. I don’t have any titles from Bordeaux and I don’t have too many what I consider as “eye-candy” titles as I prefer smaller producers (farmers if you will) who do things by hand. Many titles may be unheard of by many, but represent not only my taste in wine, but what I believe to be exciting, new and work well with food. I am often criticized by people for excluding areas like Bordeaux on my wine list. I am also often criticized when I tell people that I prefer to select titles that are organic, bio or natural wines for my list. I am told that by excluding wine from Bordeaux or focusing on organic, bio or natural that I am excluding many great wines. 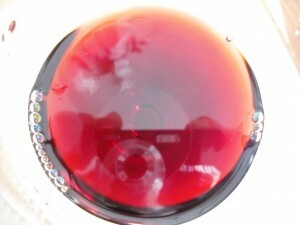 Actually, I feel that I am not excluding wines from my list, but rather I’m including wines on my list. Producers like Frank Cornelissen and Domain Le Mazel which are often excluded on wine lists, are included on mine. I include them with a smile on my face and in my heart. 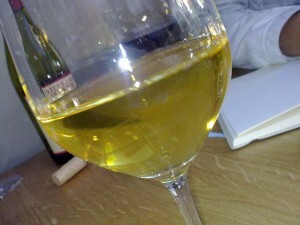 This being said, the number one reason why a wine shows up on my wine list is because it is well made and I like it. I will never sacrifice quality because it is simply organic. My wine list is not yet perfect in my eyes. I am slowly improving my Champagne and white Burgundy selection. And, I will most likely continue to add German Rieslings. 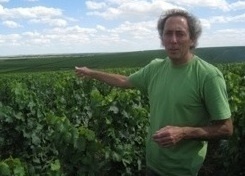 The Saering Grand Cru vineyards cover 27 hectares of which 20 are owned by Schlumberger. Varies in height from 260-300 meters. Approximately 40hl/ha yield. Nose: Clean? On the nose, hard to tell if this is a good bottle or not, or over the hill. Slightly oxidized, with hints of caramelized lemons. Herbs and hints of petrol and minerals. Really ripe yellow apples, especially the core of the apple. I am guessing Alsace or Germany right off the bat based on the nose. We are tasting this wine blind, so with the slight oxididative notes, we aren’t sure. Palate: Dry. Medium to Medium plus acid. Good concentration. Salty hints. Quite developed. Guessing to be at least 10-15 years of age. Quite a bit of weight. I’m thinking Pinot Blanc because of the hefty weight of the wine on the palate. Many people from this group are thinking it’s a Chardonnay, but the acidity is too high and it is not weighty enough in my opinion. hints of that saltiness are still there. Smells a bit like blue cheese. Nobody took this wine (that is nobody managed to guess what it was they were drinking), but many were in the Chardonnay camp. I of course didn’t peg this either. My guess was Alsace or Southern Germany and ultimately guessed Pinot Blanc. 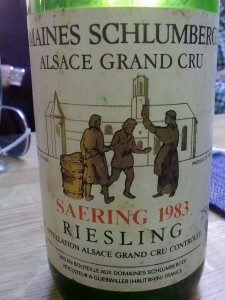 The acidity was quite high, but not as a high as what I would have expected from a Riesling. Of course, this wine was 26 years old, so the acidity had softened quite a bit, making it a bit harder to peg. 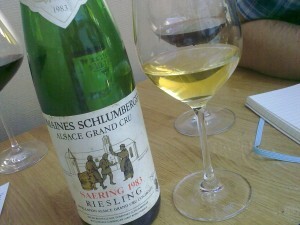 It didn’t help that I guessed this wine to be only 15 years old due to the overall freshness. It also had a bit more weight than a Riesling and hence I landed on Pinot Blanc – a grape that in blind tastings can be confused with the Chardonnay, or at times even Riesling. I did notice hints of petrol on the nose as I indicated in my tasting notes, but age can play tricks on a wine and even other grapes besides Riesling can gain hints of what we call “petrol” as they age, especially wines high in minerality. We should all blind taste as it excercises a part of the brain that we don’t often use and can help us to better understand what is in the glass. Plus it’s fun!